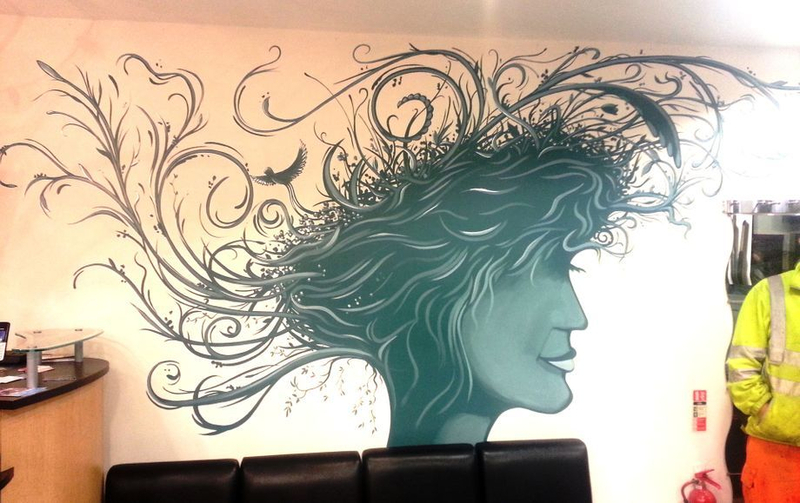 We painted this unique mural at Yiannis Hairdressers in Gillingham. This is situated by the front door and windows, so it's very eye catching for passers by as well as clients coming into the hairdressers. We accented highlights in the image with a silver paint, to really set it off and give it a sense of glamour. This took us two days to complete.